Our sales record speaks for itself — find out what to expect working with us. RJ Soens Group is one of the leaders in Avalon real estate. 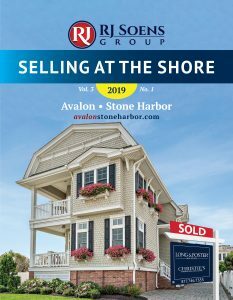 From finding Avalon condos for sale to helping you rent out your idyllic Stone Harbor beach property, we’ve always got our finger on the pulse of the market on the shore. If you’re looking for the top realtors in Stone Harbor, NJ, Avalon, and Sea Isle City, you’ve come to the right place. When choosing your representative, it is critical to find someone who you trust and feel comfortable working with. People appreciate a clear, data-based understanding of how an agent can directly affect their bottom line. With that in mind, here’s a sampling of our record over the last 12 months (the extent of available MLS data) in the residential home market on Seven Mile Island, including Stone Harbor and Avalon, NJ realty. 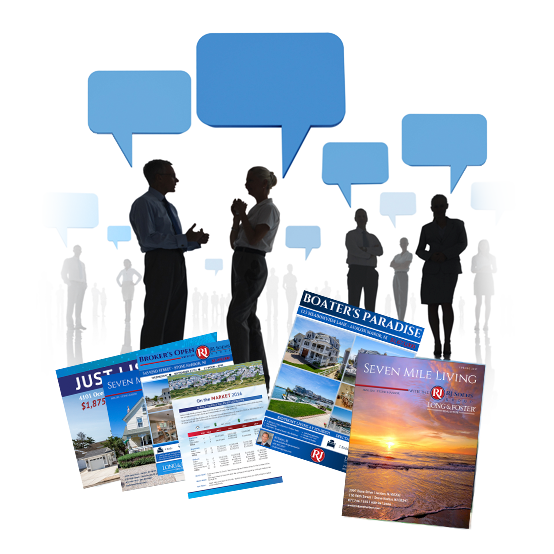 Packed full of important information and resources geared specifically for those planning to sell a property on the island. Our sellers received 22.3% more (relative to assessment) than the median vs. Top 10 Agents. In other words, they have received $398,821 more for their property on the median. Compared to other agents in the top 5 for production, RJ’s clients received an average of 18.74% more or $335,190 more. Source: All market data herein is based on Cape May County multiple listing service and/or tax records and is believed to be accurate but not guaranteed & subject to errors and omissions. Top 5 agents for available MLS history in Avalon & Stone Harbor. Check out the latest properties sold in Cape May County. Sales from the past 6 months. promote, and expose your property across a wide variety of media outlets. 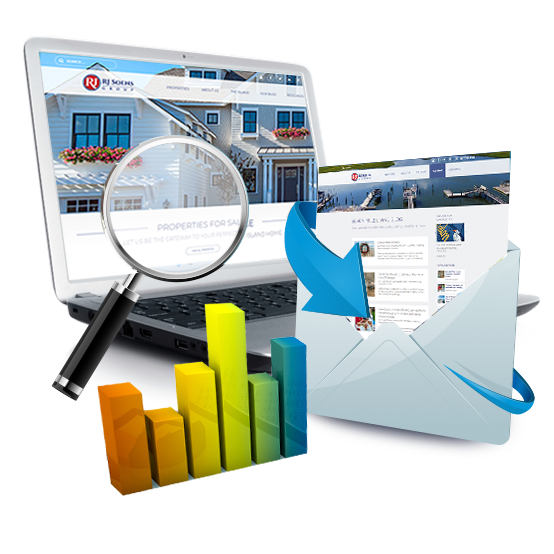 Great content, constant updates, and top search engine placement. Of course your property will be featured here until it sells. From Avalon, NJ real estate for sale to Avalon estate sales, we know how to market your property and find your optimal buyer. We’re an Avalon real estate agency who works closely with our peers. New listing emails introducing your property are sent to all island agents, so you can be sure your home gets in front of interested buyers. You will receive email notifications of showings and feedback (when available) on buyer impressions. I will always report serious interest to you by phone or in person when possible. New listing emails are sent to thousands of potential buyers and our analytics show us who has recently viewed properties similar to yours. This takes targeting to a higher level and puts your property in front of the right people at the right time. New listings are posted weekly on our Seven Mile Living Blog and properties are featured on over 30 regional, national and international platforms including Philadelphia & New York Business Journal, WallstreetJournal.com, philly.com, Zillow, Realtor.com, LeadingRE.com real and Luxuryportfolio.com. 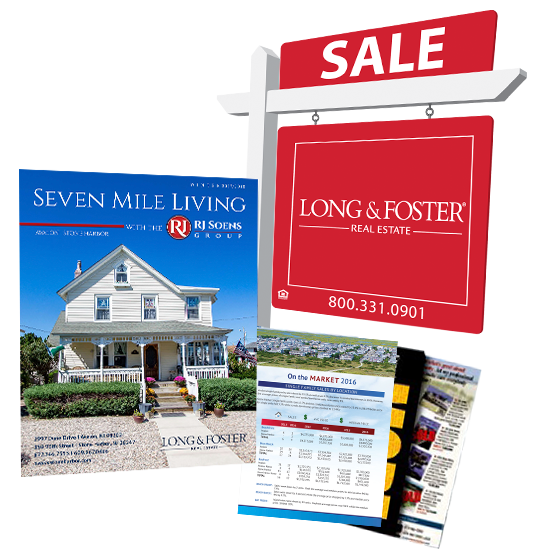 Three times a year we publish roughly 20,000 of our own 16 page brochure which is mailed to all island property owners and buyer prospects and distributed locally at Wawa stores and our brochure boxes. All of our listings are displayed here. Your property is announced in the real estate exchange which is hand-delivered to all island agents. 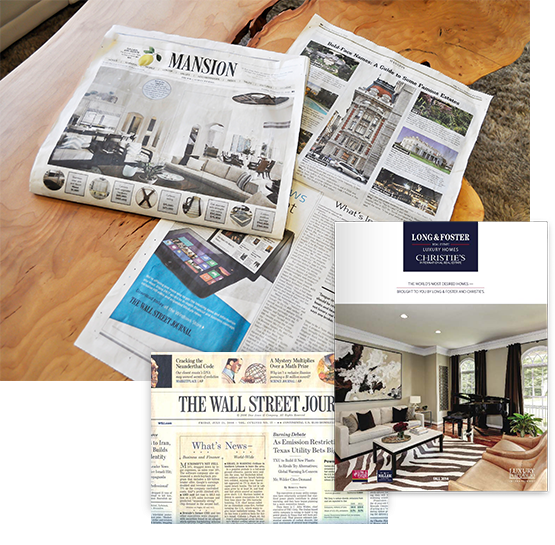 We feature our listings in numerous publications including the following: The Guide, Unique Homes, Wall Street Journal, Luxe Magazine, Seven Mile Times, Christies International Real Estate, Long & Foster/Christies Luxury Homes and more. New listing postcards are mailed to property owners and targeted buyers. We present you with our analysis of all offers and make every effort to negotiate the best possible contract on your behalf. We host open house luncheons to introduce your property to local agents and public open houses when appropriate. We have amassed thousands of contacts with expressed interest buying on our island. We know where to find your buyer and chances are we won’t have to look very far. We tour the property with our team of Long & Foster agents. With a combination of vast local experience, contacts, and expertise, our marketing network will give you the edge you need when selling your luxury property. The RJ Soens Group provides honest advice, commitment to your best interests, targeted marketing and advertising, professional service and follow-up, and most of all, powerful results! If you are curious about the value of your home, tell us about your property and we will send you the estimated range of value in today’s market, based on selling prices for comparable local properties. Tell us about your property and we will send you the estimated range of value in today’s market. Find the necessary legal information and statements applicable to sellers.